This is one of my all time favorite bridesmaids photos. 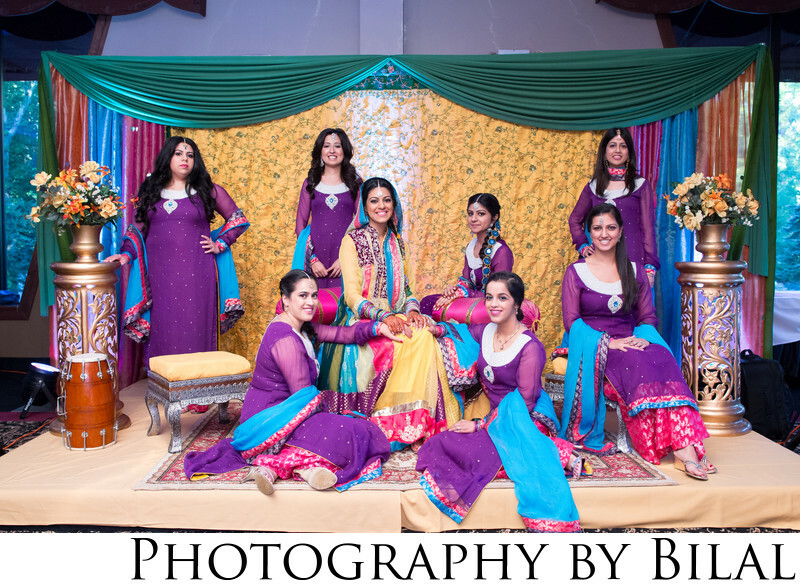 I shot this image at a Pakistani wedding in Princeton NJ. A few things I like about this photo-first, the happy smile of the bride. Second, the way all bridesmaids are posed, with a little bit of space in between each. The image is also very vogue-esque, which I happen to like.